Hello dear readers and welcome to my humble website. My name is Vince Brides and I am a freelance developer. At the moment, I am working on a personal project that is related to my one true passion – DRONES! Ever since I gotten my hands on my first drone ever (it was the Parrot Bebop 2 – amazing drone by the way), I was utterly thrilled by them. The sole thought of having a flying toy that I could pilot around and shoot videos with captured my mind like nothing ever before. That’s why I decided to help people and share my programming power by creating a unique piece of software that could automatize drones’ flight. Sure, some drones come pre-bundled with such software (software capable of providing them with semi or fully autonomous flight), but these drones cost a small fortune. That’s why I decided to create the project BIRDSi, a small piece of software that could be implemented into drones of all sizes, not necessarily the most expensive premium ones. Truth be told, every project has a couple of mishaps along the way. The same can be said about BIRDSi too. First off, I had some major issues with adjusting the code to work on best micro drones. Luckily, there was a small issue within my code (a punctuation error to be more precise, needless to say how stupid I felt when I noticed it) and I managed to fix it in no time. The second problem I stumbled upon was with gimbal detection. A lot of drones with GPS that featured Zenmuse gimbals could not be recognized. It took me 2 days to figure out the issue but luckily, the coffee and junk food got me through with it. 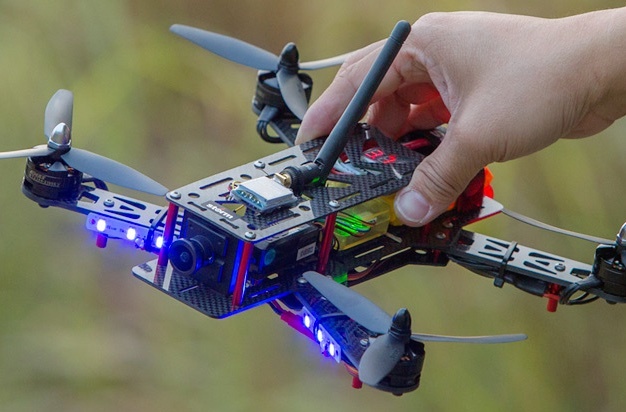 Racing drones perhaps aren’t exactly the biggest trend in the drones’ industry, but they’re still important to me as I want my software to work with ALL drones on the market. It’s supposed to be available for everyone and for a rather cheap price. The pricing part I have not yet set up (or figured out for that matter), but that is something I will think about right after I’m 100% finished with the software itself. Let’s not forget that I am a freelancer as well. With this being said, If you would like to work with me, please find my contact information featured on this site. Don’t hesitate to let me know if I can help you with something. Copyright © 2019 VB Side.